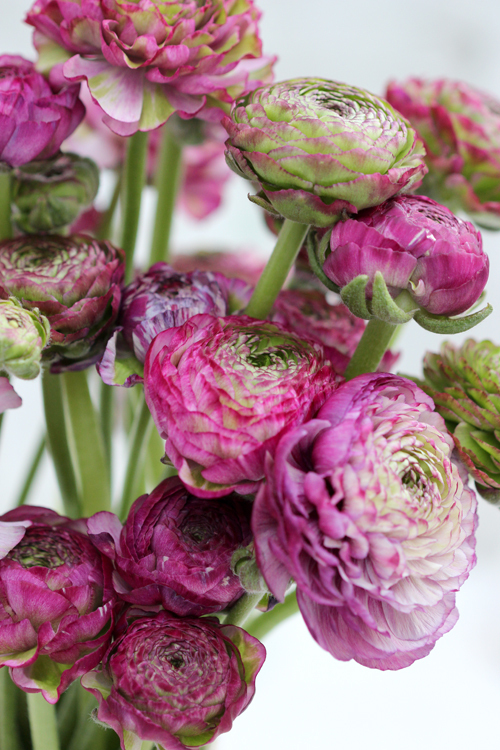 This week on 'A Bunch for the Weekend' - I'm featuring a fabulous bunch of mixed Pon-Pon and Cappuccino Ranunculus - absolutely gorgeous in both shape and colour. Sometimes I find flowers at my local flower stall that makes me go weak at the knees and I instantly fall in love with them. 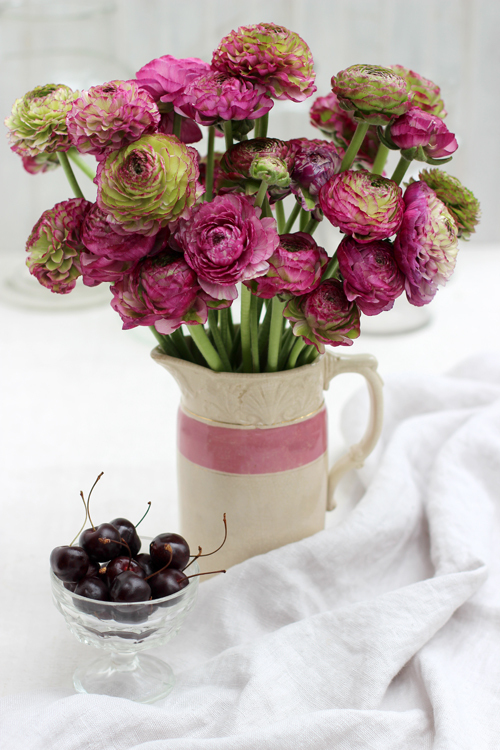 These two Ranunculus are really quite special - the pon-pon one has ruffled petals and the colouring on the petals vary from flower to flower. 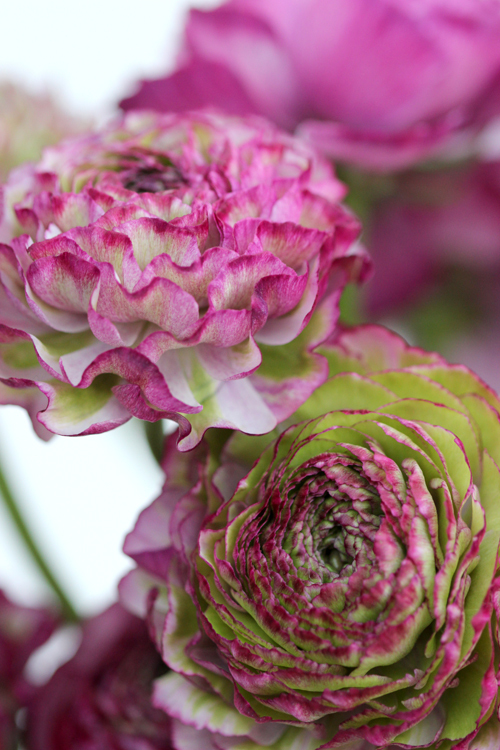 The Cappuccino style has very distinct bands of stronger colours on the edges of the petals. 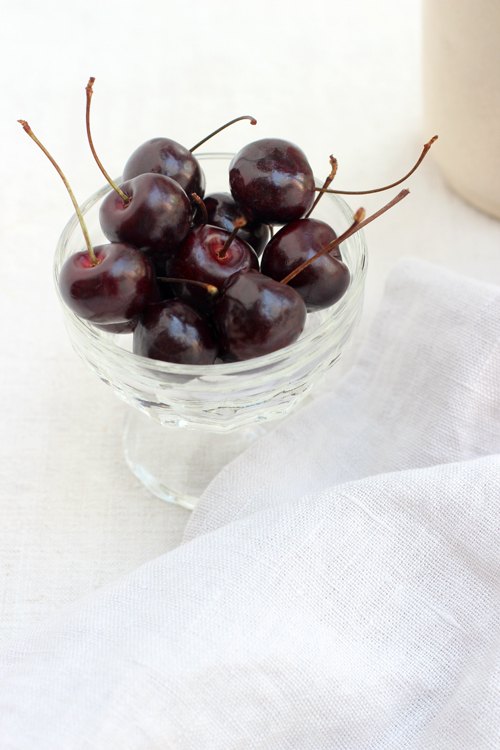 A few delicious cherries in a little dish. The colour echos the dark pink in the flowers. 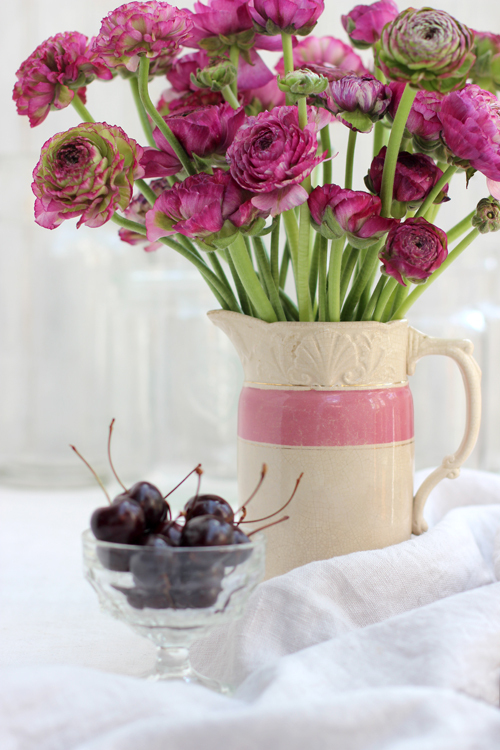 I have not used a lot of colourful props apart from the cherries and the pink stripe on the jug. I wanted nothing that would make the eye leave the flowers. Just a softly folded unbleached linen runner and a few clear glass containers in the back - just visible. This is the kind of flowers that doesn't need any other flowers or foliage. They are a statement just by themselves - nothing else is needed. I have varied the height of the stems to give the arrangement some added texture and movement. Thank you for visiting 'Of Spring and Summer' - I will be back on Sunday morning with another 'Florets - a new floral quote by someone passionate about flowers. 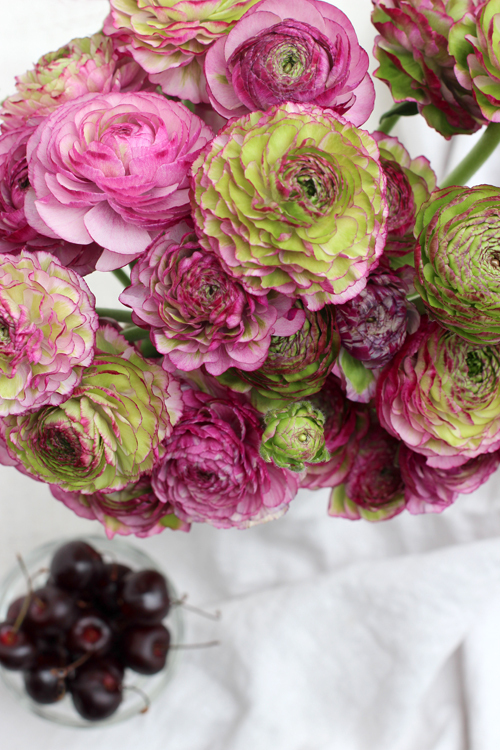 P. S. If you are looking for more floral inspiration you can go over and have a look at my Pinterest boards. I now have just over 12 000 followers and around 200 boards all relating to flowers, flower styling and flower arranging. There are boards on individual flowers and boards showing how to arrange flowers. Other boards show different ways of using vases and containers. Simply click on the link below and it will take you straight there. 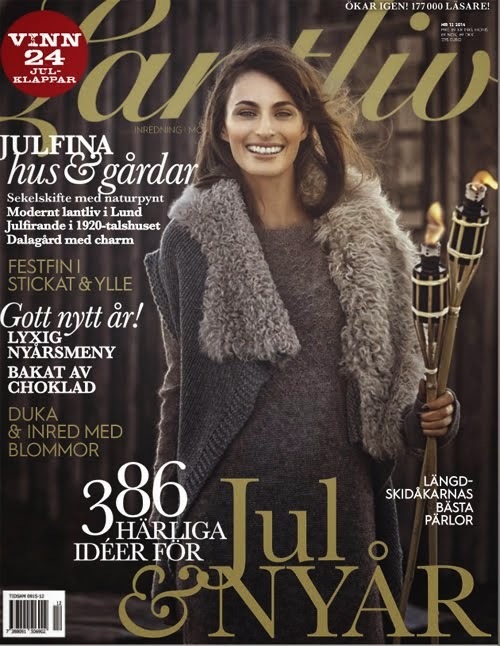 Dom är helt fantastiska de där ranunklarna, visste inte att de hette Cappuccino Ranunkler...bra att veta! Fredag igen vännen, skönt!